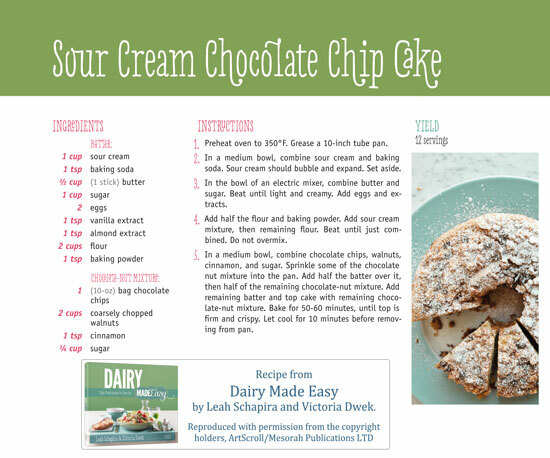 The latest release in our Made Easy cookbook series, Dairy Made Easy, is just in time to help you prepare your dairy meals for shavuos. 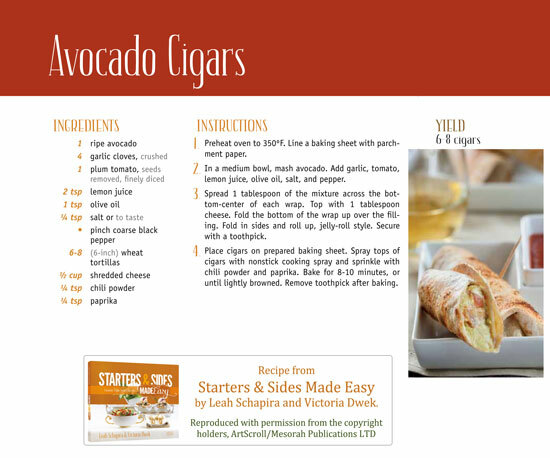 To help you get started, we’ve prepared a sample menu, compiled from all four Made Easy cookbooks. 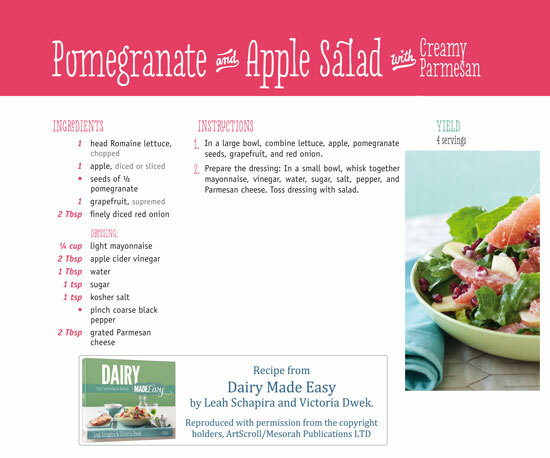 You can print the PDFs by clicking the links below, or you can scroll down for image files of the recipes. 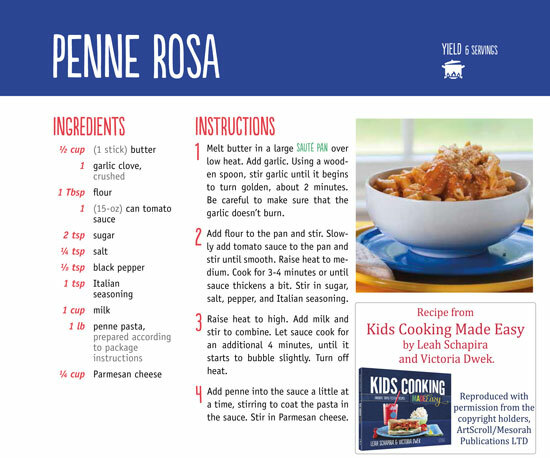 Make sure to read our helpful tips from the authors and the handy make-ahead and freezer guide! 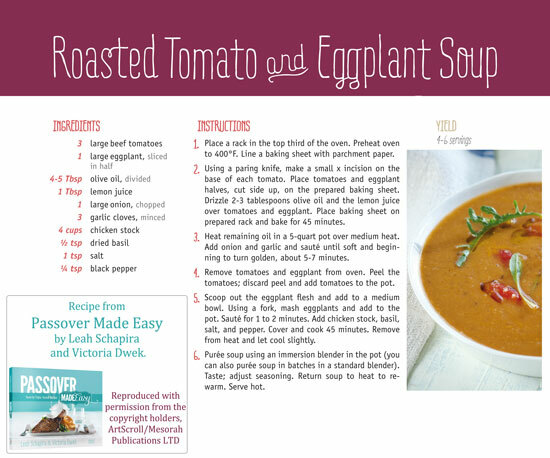 Many of the recipes in Dairy Made Easy can be made ahead, making your Yom Tov prep much easier. Here is a list of make-ahead tips and instructions. Many appetizers that get fried such as Arancini Balls (page 28) and Broccoli Spring Rolls (page 30) can be prepared ahead and frozen, then fried fresh. Pizza doughs, such as the Bistro Style Pizza Dough (page 70) and the 30 minute Thin Crust Pizza Dough (page 72) can be prepared ahead and frozen, then defrosted before using. For the Roasted Veggie Galete (page 36), let it thaw completely before rewarming. If you try to reheat it straight from the freezer, the dough will thaw much faster than the veggies. Herbed Pull Apart Bread (page 79) can be prepared completely and frozen. Reheat before serving. Many blended soups, such as the Cauliflower and Lemon soup (page 50) and the Broccoli Cheddar soup (page 46) freeze nicely. To prepare the Baked Roasted Veggie Pasta (page 94) ahead, make each component separately and reheat them together just before serving. Pasta sauces (see chapter on pasta, starting on page 82) can be frozen up to a month. Cook the pasta fresh, and warm up together with the sauce. All desserts in Dairy Made Easy (other than Peanut Butter Crème Brule) can be frozen fully prepared. Three Cheese Quiche (page 34) can be frozen after baking and reheated just before serving. Calsones (page 90) freeze nicely. When you defrost them, leave uncovered for a crunchy dish, or cover it while reheating for a softer dish. Salad dressings can be made up to a week in advance and stored in the fridge.